Jon Gold, 9/11 Truther: The Fight for Peace, Justice and Accountability. Foreword by Cindy Sheehan. ePublishPartners.com, 2012. 9/11 Truther is an important book because it both renders leading personalities in the movement and also displays wide, well researched knowledge of many key issues. As one of the first 9/11 memoirs, 9/11 Truther takes readers into the life of an activist, now 40, who’s been an important player on the East Coast and in the blogosphere. Jon Gold went to Hebrew school and took his Bar Mitzvah. Later, as he moved into “calling out” people he believed were hurting the movement with their wild speculations, Gold encountered vicious anti-Semitism. Consequences included high blood pressure, chronic depression, and, later, panic attacks (pp. 112-115). The book does not, however, explore broader questions of anti-Semitism in the 9/11 movement. The first few dozen pages recount how Gold got into drugs, attempted suicide, and joined narcotics anonymous. Though the first 55 pages or so could strike readers as largely, perhaps overly autobiographical, they do capture key moments in the movement. Unlike some “truthers,” Gold doesn’t claim to have “woken up” right away, almost before the smoke had cleared. After 9/11, he worked as a web developer and did the “patriotic” things, placing a small American flag on the company website. The next year, led by 9/11 widows Lorie Van Auken, Patty Casazza, Mindy Kleinberg and Monica Gabrielle, a group of family members issued a statement questioning the “entire veracity of the 9/11 Report.” Along with bereaved father Bob McIlvaine, they mounted a cogent challenge to the corporate media which had uncritically accepted the Report. But the news media continued to afford scant coverage to their challenge. Two years later, Gold attended a preview of “Press for Truth,” which he believes is the “most important documentary of our age,” but which received almost no media coverage at the time. Nor has it received much since. 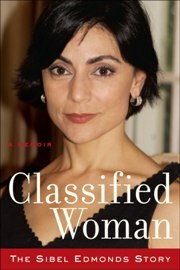 We are now offering a very limited number of advanced signed copies of Classified Woman to Boiling Frogs Post readers and supporters. In addition to the book you will receive a one-year subscription to Boiling Frogs Post and a copy of our recently released DVD containing our CIA Series, Bonus Episodes, and Jamiol Toon Gallery. All that for $100. Currently this offer is only valid for U.S. shipments. Your very own co-founder of 9/11Blogger has finally written a book! 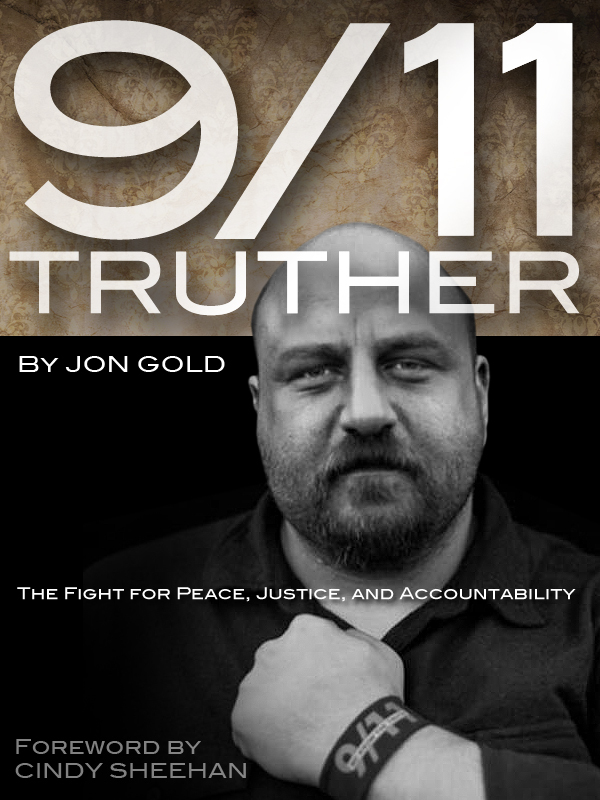 ‘9/11 Truther’ details Jon Gold’s experiences in the 9/11 truth movement and why it is still vitally important to the welfare of the world that the event be fully investigated for the purposes of justice, accountability, and peace. Jon is a personal friend of mine whose work I’ve followed for years. I’ve often played the role of sounding board for Jon, a man whose early life experiences mirror many of my own. He is a working class gentleman who has dedicated his life to spreading the message of the Jersey Girls, to doing everything in his power to help the forgotten, neglected, and ailing 9/11 First Responders, and to spreading the ideas and beliefs of many great American icons such as Martin Luther King, Jr and Cindy Sheehan. Speaking of Cindy Sheehan, she was kind enough to author the foreword to Jons’ book. Cindy is an elegant wordsmith. She is a woman that has earned my utmost respect for being consistent, outspoken, and incendiary. She does not disappoint here.